ALL SEASON TICKETS ARE NOW IN ACCOUNT MANAGER. LOG IN TO YOUR PANTAGES ACCOUNT TODAY TO VIEW YOUR TICKETS. SHOULD YOU HAVE QUESTIONS OR SEE ANY ERRORS, PLEASE CONTACT US. WE RECOMMEND ADDING ONLY YOUR NEXT SHOW TO YOUR PHONE, RATHER THAN ADDING ALL OF YOUR SEASON SHOWS AT ONE TIME. What is a QR Code? What is a Barcode? 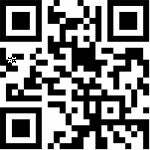 A QR code (pictured above) is a type of optical label that stores specific information; in this case...where you are sitting in the theatre! Patrons entering the theatre with mobile devices will scan these QR codes with house staff at the front doors to the theatre. For information on managing and entering the theatre with your mobile device, view the drop-down selections below. QR Codes can be ready by newer model iPhones & Android devices using only the camera app located on both. Some older model mobile phones may require the installation of a QR Reader App, most of which can be downloaded for free. Visit www.HollywoodPantages.com/MyAccount on your smart phone's web browser. Use the same email address and password that you used to log in to the previous version. Please note that you can no longer log in with your account number. WE RECOMMEND ADDING TICKETS FOR YOUR NEXT SHOW ONLY, rather than adding all of your season shows to your phone now. Keeping tickets in Account Manager allows for maximum flexibility in terms of transferring and exchanging tickets closer to your show dates. Select your event and tap VIEW BARCODE to display your tickets on screen, swipe right to see additional tickets. Tap Add to Wallet under the barcode and you are done! Tap Google Pay's "Save to Phone". If you do not see Google Pay, visit Google HERE. Select the upcoming event to reveal your tickets. If you have guests arriving separately, now is a great time to transfer tickets to them (they will need to create an account in order to accept the tickets). Then, follow instructions provided here to add tickets to your phone. Be sure to charge your mobile device the day of the show. Doing this in advance means you won't need an internet connection at the theatre. The new Account Manager allows you to quickly view, send, or sell tickets and more. With the New Account Manager, you are now also able to quickly search for upcoming events! If you have not yet added your tickets to your phone, be sure to do so BEFORE GOING THROUGH SECURITY. Keep your tickets out until you are seated - you will need them at the front door and again in order to be seated. Select Manage My Tickets(s), then choose your event and tap SEND to send your tickets to someone else. Type in the First Name, Last Name, Email and an optional note of the person you would like to send the tickets to. Click, Send. From there, you are all set! Click, Done. If you ever need to reclaim the tickets, click Reclaim to deactivate the offer. PLEASE NOTE THAT NOT ALL TICKETS ARE ELIGIBLE FOR RESELL. IF THEY ARE NOT, THE SELL OPTION WILL NOT BE SHOWN. At this time, exchanges are only available via desktop or laptop computer. Visit the Exchanges section under Season Ticket Services for information on how to exchange tickets.